Buy Custom Leather Jackets for Men and Women is popular trend Now and it's growing day by day.Since very long, mens classic customized pure leather jackets have exuded a particular sense of timelessness. Yet, they also exude class, so the wearer immediately looks a cut above the others and a trendsetter, irrespective of one’s body type, gender and age or dress size. So, it’s no wonder that over the decades, women too have taken to this smart and sleek real leather clothing that gives them an instant personality. Why do men and women insist on owning at least one pure leather jacket than cotton jacket? And why do they insist on customizing their jackets? Well, to begin, leather jackets and custom wear coats are as durable as you like and classy too. Men’s coats and jackets are available in a wide variety of cuts, styles and materials. Tailor made Jackets are also adaptable to one’s figure and physique and can be teamed up with the wearer’s clothes. By customizing your own jacket, you get a new one without making a huge investment in it. And it presents a unique style that flaunts your personal style. On the practical side, these tailored long shearling real jackets keep you warm and safe in winter while being elegant and stylish too. And all this, at an affordable price. Superhero Irving Schott introduced the top motorcycle jacket style way back in 1928. It was called ‘perfecto’ and made famous by Marlon Brando in the movie, The Wild One. Though American made leather motocross jackets are designed especially for bespoke motorcycle style, yet this mc is designed for purposes of safety and protection. In time, however, men’s jackets combined style with safety if you design your own leather motorcycle jacket. Studded Custom Leather Jacket: The studs in these gents jackets make them absolutely stunning and appealing. You can customize your existing leather jacket by sticking some studs onto it with a little glue. Once you do this in a handmade pattern of your choice, you’ve got the stud leather jacket of your choice. Embossed Brown Custom Leather Jacket: If you’re die-hard bike rider boys, you’re gonna love to customize your own this one with leather motorcycle pants. These embossed jackets come with several designs and are embossed with a brand name or have an eagle or lion to symbolize strength and toughness. If you belong to a motorcycle gang, you’ll find that its members have their group name embossed on their leather chaps and jackets. Patched Motorcycle Black Custom Jacket: Customize your jacket by adding on custom patches or fringe to leather vest mens and feeling like a typical motorcyclist. Fix patches anywhere on field you like–on the back, sleeve or chest but make sure motorbike jacket looks good and is prominent. Removable Sleeve Jacket: This customized biker vest jacket is different from all others in that you can remove its sleeves by just unzipping them. This cycle jacket makes it ideal for tall persons as well as all seasons. Bomber Jacket: The vintage style bomber jackets were worn by the air force military during World War I. Pilots who were stationed at high altitudes wore these retro flight pure leather jackets to keep warm. Since then, this army jacket costume has become very popular for navy, police and sports as well. Camo Print Bomber Jacket: A superb aviatrix brown colored jacket, this one is absolutely amazing. It goes well with a white or black T-shirts, making the wearer the cynosure of all eyes. Plaid Bomber Jacket: If solid colors like black, blue and grey are boring and you want to try to have a new look to your wardrobe, why not go in for some patterned clothes? The aviator plaid bomber jacket is a good solution. Not only is it lightweight, but is also vibrant and suits all body shapes. To look casual, team it up with a pair of jeans and chinos. Varsity Jacket: Though this blazer style jackets for men came into being when varsity students wore them, now they are the rage with everyone wearing them. If worn right, it can be a show-stopper. Denim Jacket: This lightweight trendy collarless pure leather jacket online is perfect for the spring Highly versatile, you can team up jacket with jeans effectively with several different touring outfits to add vibe and a bit of flair too. Though they don’t cover the entire body, yet they do keep the wearer warm. A women in a stylish soft leather jacket is undoubtedly a hit in every elegant woman’s wardrobe. 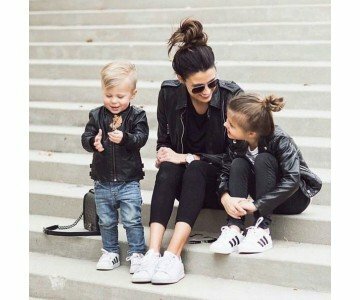 Women’s leather jackets and coats designs give her a personality of her own while the jacket is customized to be no doubt is a key hit in the wardrobe of every stylish lady, as womens coats and Jackets give versatility to our looks both day and night. Custom Embroidered Jacket: Ladies embroidered jackets are highlighted by dainty patterns on the chest pocket area, back, collar and cuffs. They could also serve as monograms or company logos. With the help of custom ink color screen printing of custom logos on motorcycle driving jackets for women can be done. Painted Jacket: You can make a punk style female jacket dress by painting it yourself in as vibrant silver shades as you please. With the help of acrylic paint, you can fill out custom painted jacket for kids and girls with flowery or abstract designs that suit their personality. Dip Dye Leather Jacket: Here, the urban jacket is embellished in two tones of grey and white which give a stunning look. Other stunning combinations like fuschia and black can also be chosen and can be paired with ladies chaps or women's skirt. Leather Vests: If you feel to customize my jacket that all the leather vests you’ve seen fall short just a little in style, surprise and versatility, why not add that extra funky detail to that women’s short sleeveless jacket you would like there? Custom made vests womens can be different, unique and special. So, you could go all dramatic by adding metallic studs to it, or take the minimalist route by nappa and get something entirely different. Choose from fitted jackets made in buffalo or cowhide or lambskin, or even suede or nubuck. Get more world’s hottest designs. You know you don’t want to stay hooked to the heavy leather jacket you own, but want to move on used realjacket to have a customized cute one. How do you get to made to order and customize it? Are there any parameters you should consider? Read on jackets online websites to find out near me just how to customize your leather jacket into a piece of art and order. What’s your style? Look hard at the riding style you want that suits your body shape and the cut that you can carry off well. Study the available icon styles and choose the one that you like and are comfortable with. You might like to choose elegant or rare draped designs–the range in nice custom hipster leather jackets with gloves is as spellbinding as it is vast.You can also design a fancy jacket OR customize your favorite jacket by printing names and pictures of your baseball heroes. Make your selection and go with it and enjoy the difference it makes to your life. Choose by color: There are various colors to choose from, something you will know when you scout around for a leather jacket. Choose from black, pink, white, blue, gray, yellow, purple, beige, green, coffee, tan, burgundy, camel and red. You can team up your customized leather jacket on sale as attractively as you choose and look smart, outstanding or just plain casual confident.Is the fit right? If your customized jacket doesn’t fit well, you won’t make a pretty picture in it. It should fit thin so well that it seems like a second skin. This means it should give you a custom fit plus size that suits your frame perfectly. A good made to measure jacket should look and feel like a second skin, so you need a fit that suits your frame. If you think where to buy, where can i get custom fit jackets, go HERE at ZippiLeather and buy genuine jacket. Good Quality of the fabric: The top quality of the fabric that you choose will contribute heavily to the comfort you enjoy, and the performance and durability it gives you. Check manufacturers, retail suppliers’ warehouse wisely and choose calfskin, goatskin or pigskin or any other type of leather that’s durable and resistant to tearing. Look closely at the finishing: Buying a premium petite jacket isn’t a small expense–it’s expensive, so you do want to spend wisely so that your storing jacket lasts and lasts. Examine the buckles, zips and buttons on the jacket repair to see if they are long-lasting or quick to erode. After all, changing them is neither easy nor cheap, so look out for the best care and maintain it well.Next, check the red lining of your jacket. Is it flimsy? If it is, move on to the next one or it will rip in your hands and replacing it will be difficult. Also, check the stitching and ensure that what you hold in your hand is a solid product you’re going to be proud to own. Look for quality sellers: If you want to have a stylish look when you wear a customized leather jacket and quality coats, then purchase jacket at ZippiLeather.com online store that sells high quality custom leather jackets. ZippiLeather worldwide brand has mens leather jackets on sale and is trendsetting and quality-conscious wholesaler and manufacturer. Designer products like trench coat, juniors jacket from ZippiLeather will definitely be genuine original leather and will last for a long time, giving you true value for money. Hold the price line but don’t sacrifice quality: If you want genuine leather on sale, expect to cough up a fortune. If you pay a low rate, you won’t get good value for it and obviously, it will become dull very soon, and will peel off too. Though men’s fashion, women’s fashion high end brands sell cost a lot and leather jacket price may be not affordable for middle-class buyers, there are made in USA wholesalers who give delivery out discounts and rebates to customers, thereby making buying such coats nyc products worthwhile. Embroider your jacket: Embellishing your branded bomber jacket womens with just a little gold embroidery could lift a flat black jacket with custom hoodie. You can create a motif around the zippers, sleeves or pockets for better contrast and overall balance. It is perfect for rocker for nights. Cut up your jacket: Take off the sleeves and get yourself a leather vest, customized to your cool tastes and needs. Pin it up with a badge: Make an unusual sartorial statement by pinning a badge on your jacket. You can also iron it onto your leather blazer jacket womens. Typography: If you know a quotation or a short verse that inspires you, paint it or have it screen printed onto your jacket. Now, that’s an uplifting act. Fill it up with gleaming studs: Peppering your buy leather jackets with studs is a trend that will perhaps never die. And it’s so easy to do male jacket with pants. All you need is some hot glue and a clutch of metal studs and you stick them on in a particular shape or pirate design that you want on your jacket. Now, let your studs tell the world how creative you really are. Print it: If you have a pet print that you can’t do without, why not attach it to your jacket or women leather capri? Swish some paint on it: Go wild ranger with acrylic paint or spray paint to customize the back of your custom moto leather jacket. You can also add some machine graffiti designs to give your distressed jacket a completely unique and different look. Give full rein to your imagination and let the patterns flow. Dye it: Add a little fine color to your solid colored leather jacket and make a new one of it. Perhaps, even a minimum two-toned jacket would look good. As mentioned above, shop inexpensive personalized leather jackets, duster womens leather coats are for both men and women of all sizes and shapes at ZippiLeather, the jacket company outlet. However, those listed here are just a small sampling of all the customized leather jackets outfits you can order and try. If you want to spice yours up further, use your creativity and make your own unique jacket that reflects your personal style and tastes. "Buy custom leather jackets for men and women Or Design your own biker jacket" and let your jacket speaks for your personal style statement. The best fashion store I have ever cam across for my Leather Outfits, Almost all, Leather Jacket and Party Leather dress, I fell in love with their stitching quality. I just like it so much. I purchased one Leather jacket for my Brother on his Birthday. He liked it so much and so Happy that he got the perfect fit Leather Jacket for him. I like Zippileather’s customization ser .. Perfect and quality, that I loved from Zippi’s Leather Outfits. 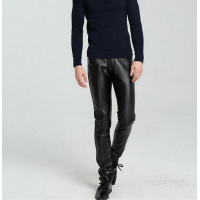 Specially my black leather pant, its very comfort fit. Thanks ! I love their collection, and their service of taking care o .. I loved the Leather Jacket purchased from Zippileather. Its very comfortable and perfect slim fit. I just loved it. No worry about the Price, its fair enough and provided me best quality ..
Why Leather Jacket Is The Next Big Thing In Design ?